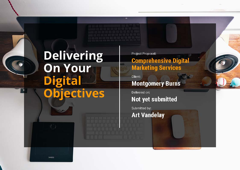 Advertising companies can use our free proposal template as a guide when creating new advertising campaign proposals and packages. 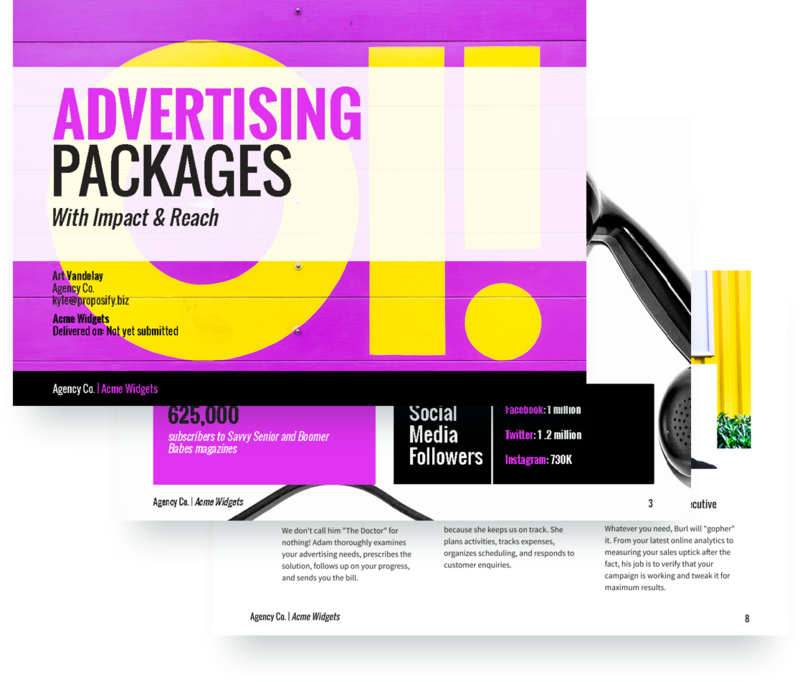 Included are sections that highlight your influence in the industry, platforms on which your clients can advertise, customer testimonials, and advertising packages available. 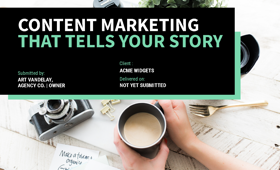 This advertising proposal example also allows you to showcase team members and provide clients with a detailed contract outline.